Among the questions from children this year: "Is Santa real?" and "Does Santa leave presents for dogs?" Sara, just 13 herself, was surprised but gathered her thoughts quickly. “If I can get ahold of him, I’ll try to get the message to him,” she told the child. Sara was one of hundreds of volunteers at NORAD Tracks Santa who answered thousands of calls, program spokeswoman Marisa Novobilski said. Spokeswoman 1st Lt. Stacey Fenton said that as of midnight Tuesday, trackers answered more than 111,000 calls, breaking last year’s record of 107,000. 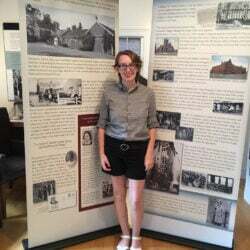 She also received an invitation to visit an 11-year-old boy in Fort Worth, Texas, and a request to put her husband on the phone. “He’s not here right now. But you know what, I will tell him you asked about him. OK?” she replied. 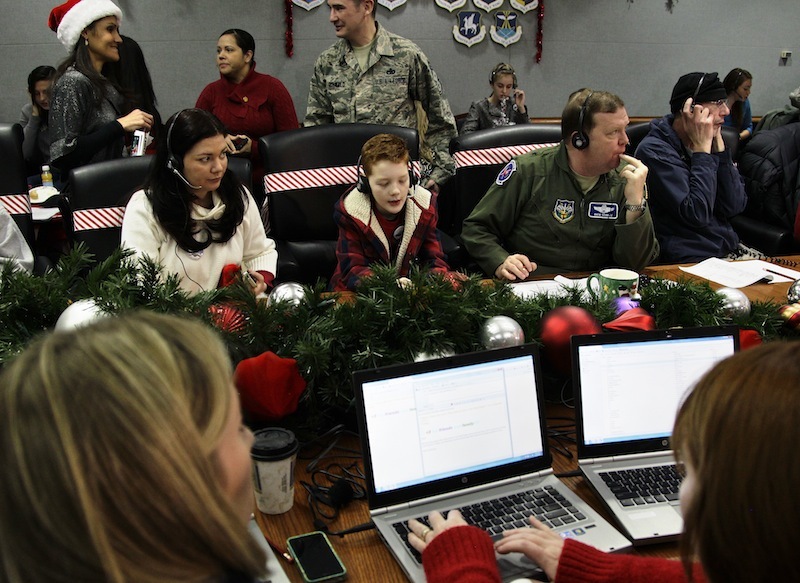 NORAD and its predecessor have been fielding Christmas Eve phone calls from children — and a few adults — since 1955. That’s when a newspaper ad listed the wrong phone number for kids to call Santa. Callers ended up getting the Continental Air Defense Command, which later became NORAD. CONAD commanders played along, and the ritual has been repeated every year since. DON’T WORRY, HE’LL FIND YOU: Glenn Barr took a call from a 10-year-old who wasn’t sure if he would be sleeping at his mom’s house or his dad’s and was worried about whether Santa would find him. “I told him Santa would know where he was and not to worry,” Barr said. “That’s a closely guarded secret, and only Santa knows,” Barr replied. His mother got on the line and explained to Jennifer Eckels, who took the call, that the boy’s younger sister died this year. “Big sister wanted to add her 3-year-old brother to the naughty list,” one read. “Are there police elves?” said another. “Need a Spanish speaker!” one organizer called as he rushed out of one of three phone rooms. 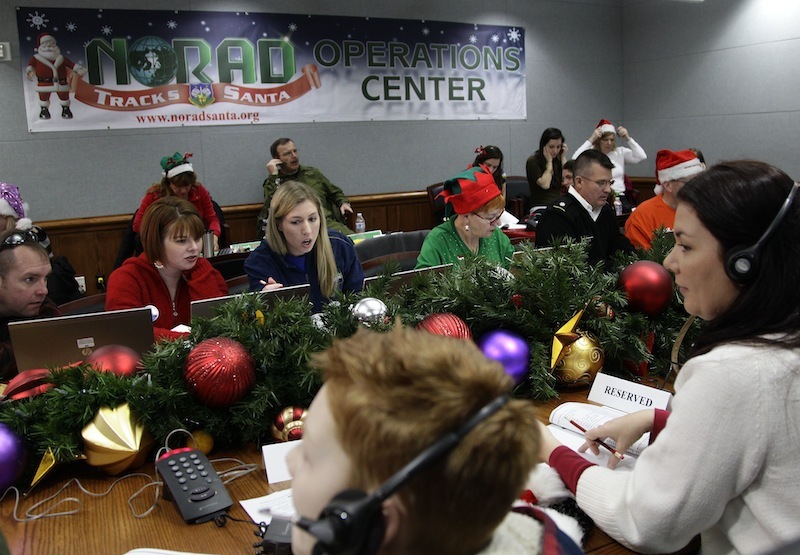 HE KNOWS WHEN YOU’RE AWAKE: At NORAD’s suggestion, volunteers often tell callers that Santa won’t drop off the presents until all the kids in the home are asleep. “Ohhhhhhh,” said an 8-year-old from Illinois, as if trying to digest a brand-new fact. “I’m going to be asleep by 4 o’clock,” said a child from Virginia. “Thank you so much for that information,” said a grateful mom from Michigan. “They had a great time,” said Novobilski, the program spokeswoman.